Robert Cuccioli is probably known by most for his riveting, critically acclaimed TONY nominated performance as mad scientist, Dr. Jekyll, and his sinister alter ego, Mr. Hyde, in the Frank Wildhorn/Leslie Bricusse smash Broadway hit musical Jekyll & Hyde, for which he also received the Drama Desk, Outer Critics Circle, and FANY Awards for Outstanding Actor in a Musical. Prior to his successful Broadway run, he dazzled audiences, as well as critics alike across America in the show’s national touring company. He was honored with Chicago’s prestigious Joseph Jefferson Award during Jekyll & Hyde’s successful 34-week tour. In 2012, Cuccioli returned to Broadway, lighting up the stage with his high-flying performance in the dual role of Dr. Norman Osborn/The Green Goblin in the rock musical Spider-Man: Turn Off The Dark. Off-Broadway, he was seen in Joe Pintuaro’s Snow Orchid and in his critically acclaimed performance as Mayer Rothschild in the updated version of the classic Harnick/Bock musical Rothschild and Sons. In 2017, Robert starred as the title character in The New York Times’ Critic Pick, White Guy on the Bus at 59E59 Theatres. While acting has always been in his blood, it wasn’t Robert’s first career. The Long Island native graduated from St. John’s University with a Bachelor’s Degree in Finance and worked as a financial consultant on Wall Street at the prestigious investment firm E.F. Hutton for three years while pursuing a full-time performing career. 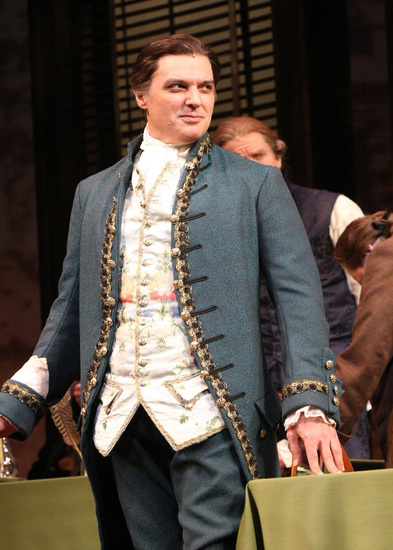 At age 23, he auditioned and received an offer to join The Light Opera of Manhattan. Starting in the chorus, his work brought him starring roles in the most beloved Gilbert & Sullivan operettas and such classics as The Merry Widow, The New Moon, The Desert Song, and The Vagabond King. Robert received his first big break playing Lancelot to the legendary Richard Harris’ King Arthur in the national and Canadian tours of Camelot. In 1991, he garnered the Outer Critics Circle Award for Brilliant Ensemble Performance in the highly-acclaimed Kander and Ebb review, And The World Goes ‘Round. He followed that with the critically acclaimed, highly successful off-Broadway production of The Rothschilds where he played Nathan at Circle in the Square (downtown). Following a record-setting, nine-month run in the New York premiere of the Maury Yeston/Arthur Kopit Phantom at the Westchester (NY) Broadway Theatre, Robert made his Broadway debut as Javert in Les Miserables in 1993. Soon on Javert’s heels, Jekyll & Hyde called. In 1994, Robert created the role in a joint production with Houston’s Theatre Under The Stars and the 5th Avenue Theatre in Seattle. After a national tour culminating in the 1997 Broadway production, Cuccioli set out to stretch his artistic muscles even further, performing a wide array of challenging roles, in venues that extended from Off-Broadway to prestigious regional theatres around the country. These included The Shakespeare Theatre of NJ, The Shakespeare Theatre in DC, Paper Mill Playhouse, Pittsburgh Civic Light Opera, The McCarter Theatre, The Guthrie, San Jose Repertory and George Street Playhouse. During that time, the versatile performer added to his credits numerous leading Shakespearean roles as Claudius (Hamlet), Brutus (Julius Caesar), Iago (Othello) the title roles in Macbeth and Antony and Cleopatra; classic plays as The School for Scandal, Amadeus (Best Actor: NJ Star Ledger), Lorenzaccio (Best Actor: Helen Hayes nomination), The Seafarer and 1776 (Best Supporting Actor: Helen Hayes nomination). Cuccioli also performed in beloved musical comedies and dramas, including Jacques Brel Is Alive And Well And Living In Paris, Guys and Dolls, The Sound Of Music, Funny Girl, Carnival, A Little Night Music, Bells Are Ringing, The Secret Garden, Pajama Game, Oklahoma!, Lend Me A Tenor, The Man of La Mancha, Camelot, Jesus Christ Superstar and Nine. 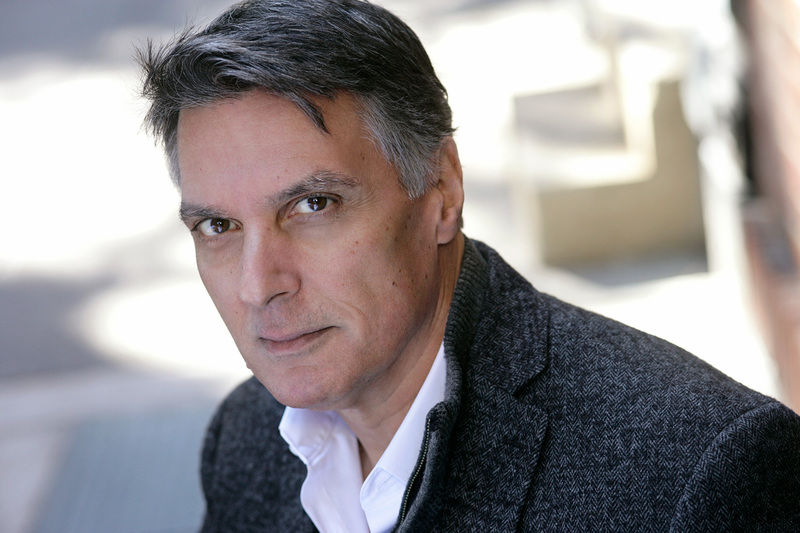 He created roles in new musicals and plays, including, Temporary Help, Fiction, Dorian, Enter The Guardsman, Sons Of Don Juan, A Moon To Dance By (with Jane Alexander), the Bruce Hornsby musical SCKBSTD, Lone Star Love, Angels, Cutman: A Boxing Musical, Bikeman: A 9/11 Play, and as Ben Rumson in the newly scripted version of Paint Your Wagon currently in development. A most sought-after concert performer, Robert has sung at a variety of venues all around the United States. He embarked on a cabaret career in 2000, when he brought his show Heroes to Arci’s Cabaret Club (NY) and played a four-week sold out engagement. He has now added his newest evening, A Standard Love, to his repertoire, which reflects Cuccioli’s love of music, from ballad to swing. 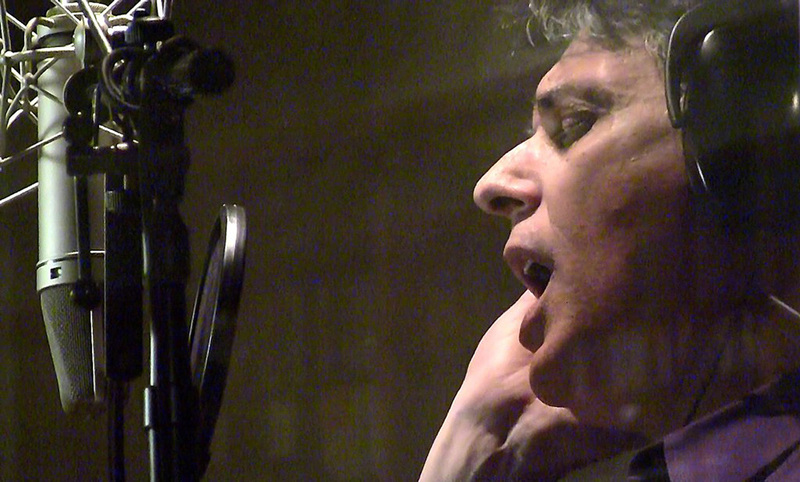 It portrays a journey of loving and losing and loving again - part of a timeline that, as Cuccioli notes, “features an aspect of my own romantic life that resonates in my heart.” This latest show spawned the recording his debut solo album, Robert Cuccioli - The Look Of Love, released in fall 2012. Bringing his own adaptation of Jekyll & Hyde to the stage, Cuccioli added director to his impressive roster of achievements, dazzling critics and audiences alike at Houston’s Theatre Under The Stars, the Pittsburgh Civic Light Opera and the (NY) Westchester Broadway Theatre. In addition, he directed the Shakespeare Theatre of New Jersey’s production of The Merchant of Venice and Tennessee Williams’ The Glass Menagerie to wide critical acclaim. Cuccioli is undeniably one of the brightest stars in the theatre today, but his eclectic career doesn’t stop at the footlights. He boasts an impressive list of television credits, most notably, The Sinner, Elementary, White Collar, Baywatch, Sliders, recurring roles on the popular daytime dramas, All My Children, One Life To Live, Loving and The Guiding Light. Cinema credits include Woody Allen’s Celebrity, the independent films The Stranger and the soon to be released The Rest of Us and Impossible Monsters. Cuccioli is featured on the original cast recording of Jekyll & Hyde (Atlantic), And The World Goes ‘Round (RCA Victor), Rothschild and Sons, The Maury Yeston Songbook (PS Classics), Jacques Brel Is Alive And Well And Living In Paris (Ghostlight), Everybody’s Is Getting’ Into The Act (Fynsworth Alley), The New Picasso (Black Forest Productions) and Cuccioli’s aforementioned debut solo album, The Look Of Love (Canis Minor Records). Robert resides in New York City.